This week’s recipe also comes to us out of The Abs Diet – Eat Right Every Time Guide. 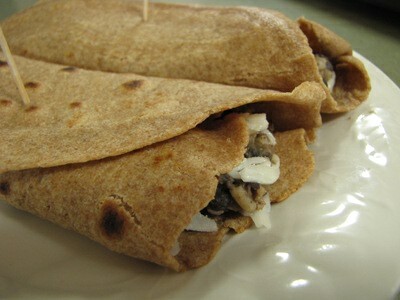 Recipe can be found on page 94, under Chapter 6, Wraps. At approximately 208 savory calories, you definitely won’t be busting your belt. 1 TBSP Bleu Cheese crumbles, OR – we suggest, 2 TBSP BOLTHOUSE FARMS BLEU CHEESE YOGURT DRESSING – Can’t beat that flavor at only 35 cals!! Arrange beef slices down the center of the tortilla, then add remaining ingredients. Fold outside edges in, then roll. If you try this, please let us know how you made it and how you liked it!